LAKESIDE LIVING! RELAX & ENJOY LIFE. DISCOVER THIS WONDERFUL DIVOSTA OAKMONT MODEL WITH HIS/HERS BATHS. 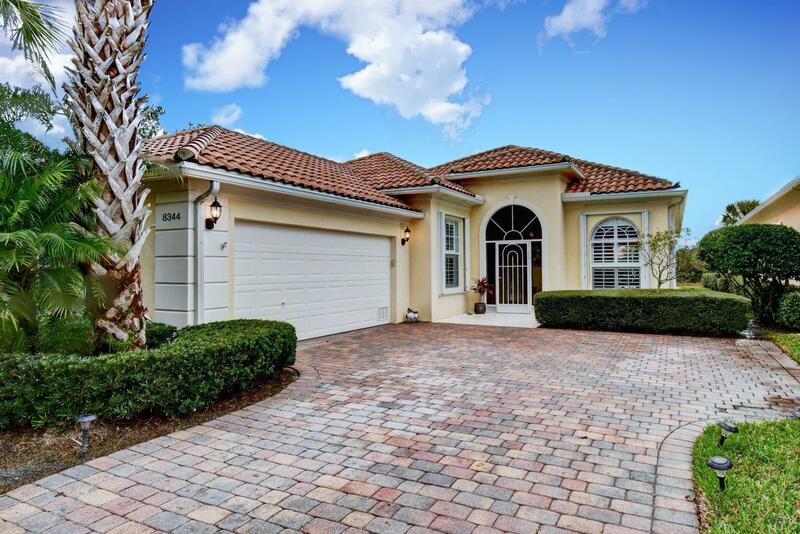 HEATED POOL, GRANITE COUNTERS, ELECTRIC AWNINGS, PLANTATION SHUTTERS AND MUCH MORE....THIS HOME IS WITHIN WALKING DISTANCE OF THE CLUBHOUSE FOR USE OF THE EXERCISE ROOM, TENNIS OR SIMPLY RELAXING WITH FRIENDS AT THE CLUB. CABLE, LAWN CARE, CLUB FACILITIES AND MORE...ALL INCLUDED. SITUATED WITHIN SEVERAL MINUTES OF Lost Lake Golf Club, A SEMI-PRIVATE, NON-EQUITY CLUB THAT OFFERS GOLF WITH AND WITHOUT MEMBERSHIP AS WELL AS SOCIAL MEMBERSHIPS. HOBE SOUND, A SMALL QUAINT TOWN WHERE MARTIN COUNTY MEETS PALM BEACH COUNTY, IS A SERENE LITTLE COMMUNITY FOR THE DISCRIMINATING YACHTSMAN OR AVID GOLFER.